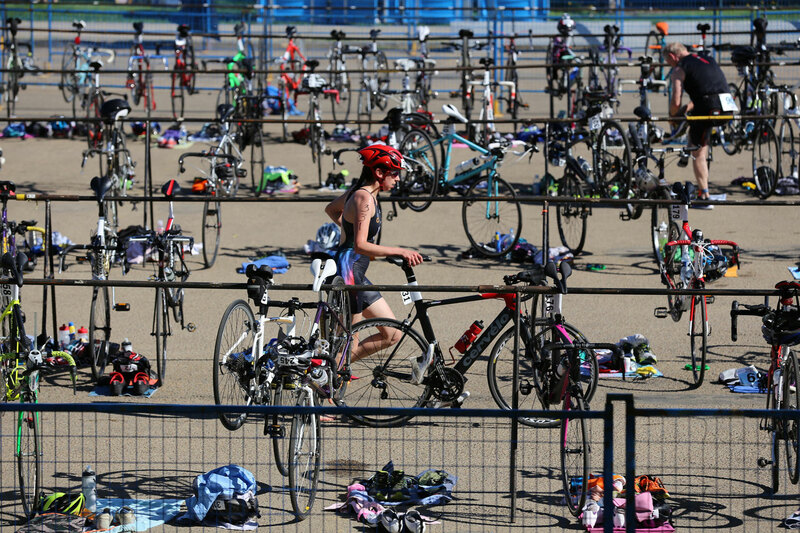 We are glad that you are interested in, or already participating in the sport of triathlon in the province of Alberta. Whether you are a beginner athlete, or a seasoned veteran, we have created this guide to help you through the season. We hope that this guide provides you with some of the appropriate tools and guidance to help you succeed. If you are new to the sport of triathlon, we encourage you to visit the Beginner Guide which includes information regarding equipment, what to expect, and how to successfully complete your first event. The typical event distances include: Try-It, Sprint, Standard or Olympic, Long Distance or Half Ironman, Ironman, and Team Relay! See exact event distances for triathlon and other multi-sports on our Triathlon Race Distances page. See the Triathlon Benefits & Triathlon Survival Tips below. We look forward to seeing you throughout the season! We are more than happy to address any questions or concerns that you may have so please feel free to contact us. Since triathlon is a sport that encompasses three disciplines (swim, bike, run), it provides the opportunity to explore your options and not be bound to one activity. Participating in swimming, cycling, and running will provide many valuable skills, some of which are: coordination, balance, discipline, focus, participation, cooperation, and leadership. Being active is also an excellent way to boost your physical and mental health. We look forward to seeing you throughout the season! Timing Chip Ready & Return After Event! Make sure that you are familiar with the race course before the day of the event! It is a good idea to walk the race course at least one time a few days before the event takes place. Becoming familiar with the map will ensure that you do not make any preventable mistakes on race day. Ensure that all of your equipment is in good working order. Make sure that your bike tires are pumped, your brakes work, and you have an appropriate helmet. If your bike needs any maintenance, it is a good idea to bring it into the shop well before the event so that you have a working machine for the race. Your bike must meet equipment guidelines – so make sure you know the rules before the event! Make sure that you prepare yourself to be able to complete your event comfortably. Some events will allow you to switch to a shorter distance, but don’t count on it! You do not want to scramble to pick up your package at the last minute. Note: Some race packages include safety pins to adhere your race number to your clothing, but it is never a bad idea to carry extra pins going into your event (even if you have your safety pins… some of your friends will probably lose theirs)! A good alternative is to purchase a Race Number Belt so that you will never need to use safety pins. Many triathlons take place very early in the morning, and it is not uncommon to experience the pre-race jitters. For these two reasons, it is a good idea to pack up all of your equipment before the day of the event to ensure that you do not forget any key materials. It is nice to be able to get in the zone, and not worry about the little details on race day. Make sure that you are well-hydrated in the days leading up to your event. Many people underestimate the length of time needed to properly hydrate the body. It is important to consume the appropriate nutrition on race day. Some people can handle a substantial breakfast before they head out, but many people have to be very careful as to what they eat before a race. If you have your morning meal planned in advance and know what you can handle – you will be just fine! In addition to pre-race meals, longer events may require you to bring nutrition for during the race (i.e. energy gels). We recommend that you do not try a new energy product on the day of your event. Some people have the tendency to have sensitive stomachs with various energy gels. Make sure that you arrive nice and early for your event. It is always nice when a race is able to start on time! It is nice to avoid the added stresses on race day. Make sure that you have your timing chip ready to go so that your results are accurate – and always remember to return your chip once you are finished (to avoid a very hefty charge)! Officials are responsible for ensuring the safety and fairness of the event by enforcing the rules and guidelines of KOS, Triathlon Canada, Alberta Triathlon Association, and International Triathlon Union (ITU). Officials are also very busy on race day.